And now, for those who indulge in excess. 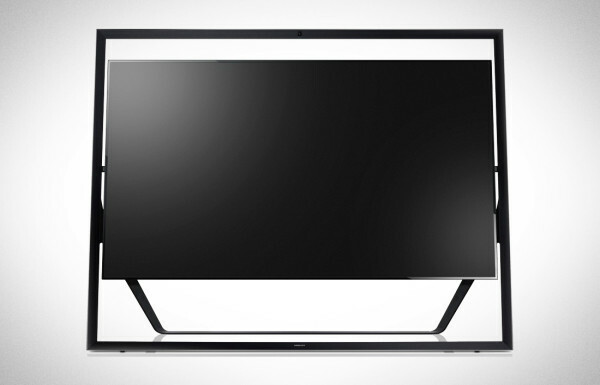 Feast those eyes on this $1.7 million TV screen. Titan brings out one of the largest ever made and names it “Zeus”. $1.7 million buys 4K resolution and a ton of colors. By ton, we mean this thing literally weighs a ton. British manufacturer Titan will ship it to customers via Hummer. They only produced 4, and since two have already been purchased, that leaves..wait for it..two left for sale. One downside: no HDMI input! Nah, just joking. Find our more info here. 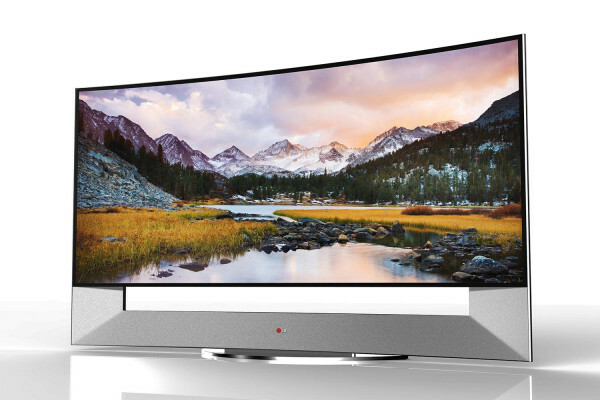 Another company will show off their entry in the increasingly popular “obscenely large, slightly curved” tv category. 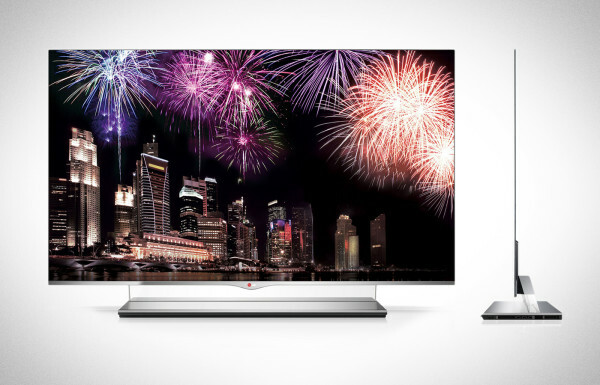 LG announced their 105″ earlier last week. 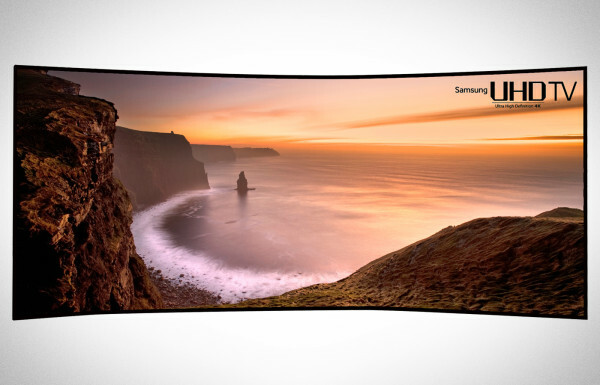 Now, Samsung plans to show off their own 105″ curved ultra HD TV at CES 2014. It’ll feature a 5120 x 2160 resolution, 21:9 aspect ratio and throws around fancy terms such as ‘Quadramatic Picture Engine”. Quadrama-what-what? Just know this nifty marketing/technological invention will give provide crisp, clear ultra hi-def content no matter the source. That could be the old HD rabbit ears or those things called ‘Blu-ray’ players. Pricing will be announced at CES 2014, but let’s be like The Price is Right and guess $100k. “It’s OK for it to have a curve,” my doctor told me the other day. Whew. Now I can buy that 105-inch LG UltraHD TV! What? You didn’t think I was talking about… oh god no! Get your mind out of the gutter. LG’s mind (and Samsung’s) is apparently on massive TVs that bend it like Beckham at the corners. The 4K UltraHD 105UB9 will feature a 21:9 aspect ratio, 5120 x 2160 resolution, and Thin Film Transistor (TFT) pixel circuit technology to prevent color leakage. Ah leakage… another thing my doctor said was normal. We’ll find out the price of this beast at CES early next month. Flat yet curvy is an oxymoron when it comes to women, but not so when it comes to brand spanking new TVs. LG’s OLED HDTV is not only paper-thin (4mm), it’s also significantly curvier than Leann Rimes, promising a more immersive viewing experience along with the next-level clarity of an OLED screen. The 55-inch set — and coolest kid on the block status — can be yours for $15,000. Find it at select big city Best Buys (in the fancy Magnolia section) starting in August. If you’ve had it up to here with the movie theater experience — the kids on their phones; the overpriced candy; the rotting corpses (I live in a bad neighborhood) — then go ahead, win the lottery and purchase your IMAX Private Theater. 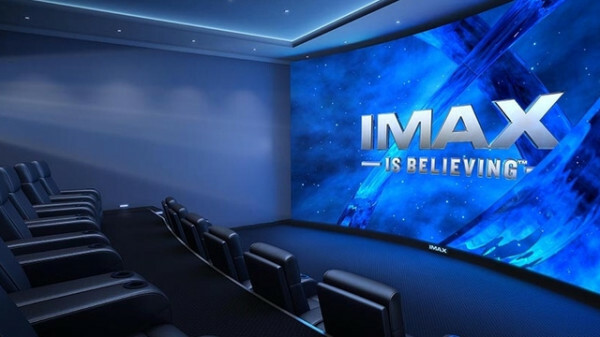 Yes, IMAX is bringing its best cinema hardware into select homes. That means a 3D-capable 4K projection system designed specifically for your room, 7.1 surround sound, and a floor to ceiling, wall to wall, curved screen. It was nice knowing you, stale Whoppers. 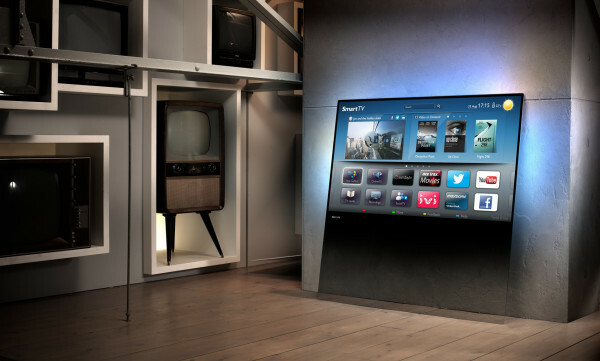 It’s getting harder to stand out in the field of television design, but the new Philips DesignLine TV doesn’t want to stand out; it yearns to lean. This set, made from a single sheet of glass, has no base stand; just lean it against your living room wall and let the ambient light (a great feature that should’ve been copied by every other TV manufacturer) cascade off the surface behind it. Is this the set for a family of rambunctious toddlers? Probably not, but you can always put them up for adoption. I don’t even wanna know what goes on in the men’s room at CES, because out on the showcase floor, the battle over who has the biggest TV is fierce. After Sony dazzled the world with their new 84″ 4K TV, Samsung just had to go and up the ante by a mere inch, just to claim the title of world’s largest Ultra High-Definition TV. The 85-inch UN85S9 also features a unique, um, frame I guess we’ll call it, that keeps the huge screen suspended in the air. That frame also holds a 120-watt 2.2 speaker system, so there’s that. This giant goes on sale for rich people in March, so you know what that means: Panasonic will bust out an 86″ set in April. Now (kinda) known as Ultra High Definition, but previously (and still sorta) known as 4K, the next wave of TVs has begun to crest. And as with new tech, as it so often does, the crest costs. 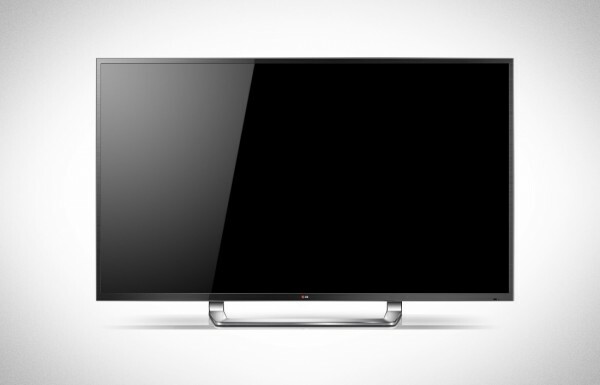 LG is debuting its new 84-inch Ultra High-Definition TV at the um, tough-to-manage price of $19,999.99. The set’s size and 3840 x 2160p resolution is the big draw of course, along with 2.2 stereo sound, 3D capability, and LG’s motion-controlled Magic Remote–the official remote of Magic Mike! Own it now on Blu-ray & DVD!! Hello? Anyone?